Yes, you may have smoke detectors installed in your home, child locks and padding to keep your children safe, wide assortments of non – skid mats, hand rails etc to keep your family safe. Have you ever thought whether this is enough? May be not? Many leading researchers believe keeping yourself and your family safe at home takes years of practice. We see a lot of commercials and television advertisements pushing home safety products in our daily life and most often than not, a very important message of practicing safety tips to be safe at home are left out in these commercials. 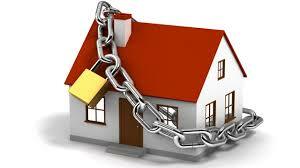 In this article, we try and look at a few tips on keeping you and your family safe at home. Always make it a practice to test the smoke alarms. Make it a practice to do so every few months as well. It will be very good if you create and practice a fire escape strategy with your family every now and then. Smoke inhalation can lead to a lot of critical health issues and even death if not evacuated early during a fire. If you and your family are well practiced and ready to face such situations, you will be having an upper hand and can ensure the safety of your loved ones. Take a walk through your home and identify nooks and corners where it is risky for a child or even a grown up. There may be places where the rug is loose or faulty wiring is standing out or even a loose nail sticking out from the floor boards. Keep in mind that minor injuries like this can happen on a day to day basis and if you are able to identify such causes, you may as well avoid it early on. If you are undergoing any medication, always keep it stored away safely and not in the vicinity of children. Your medicinal tablets may be of different colors and shapes which will attract children. Are you keeping all poisonous substances like kitchen cleaning agents, household chemicals etc also stored away safely from the reach of children? If not, do so with immediate effect. How Good are your Kitchen Habits? Do test runs on your kitchen habits to see if you leave anything which may lead to possible injury. Do you leave the stove on while you are away from the kitchen? Do you leave the pot handles to the back of the stove? Do you ensure you do not leave hot and scalding dishes and pans on table cloths which may lead to children pulling on it and burning themselves? Safe practices in the kitchen go a long way in preventing a large number of injuries at home. Come up with practices that will keep your family safer from drowning. Never leave a child unattended near bathtubs, swimming pool or even buckets for that matter. Make sure the child has absolutely no access to water sources anywhere in the house when they are unattended. Keeping safe at home is something like a lifestyle choice altogether, however, if you do face any injury at work or even at home due to a faulty commercial product or you need legal assistance on any matters related to injury, you can always depend on Reinerslaughter.com! Previous : The Best Anti-Aging Defense Tips!!! How to Choose the Best Home Care Company?